Check out the Cities of the World Neckties and Old World Map Ties for more monuments on neckties. 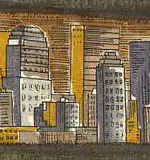 There are many famous American buildings on the American City Neckties page. Many residential building styles and monuments are pictured on the Cities of the World Neckties page. 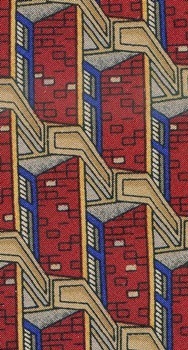 Many Residential Building Styles are pictured on the Realtor Neckties page. 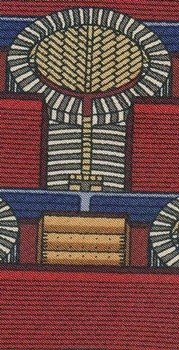 For other architecture neckties, see the Frank Lloyd Wright Neckties and other Signature Architect Neckties. 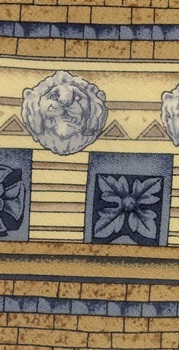 For architectural embellishments see the Decorative Arts Neckties page. Some may even be manufacturer or store closeouts and were never worn. Consider these ties for a nice price on a beautiful tie that is no longer being printed. There are no flaws or stains and any tie can be returned if you are not pleased.